Curtis Michigan is one of the most fantastic places to fish in the world! We carry a variety of live bait for all of your fishing needs. 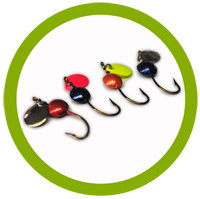 Mick's own tackle line can help you reach all of your fishing goals. Mick has a large selection of fishing supplies and sporting goods. Stop by and see the great variety of items we have in stock. Curtis offers fishermen and hunters a world-class experience! Welcome to Mick's Bait Shop of Curtis, MI. We are your Upper Peninsula source for live bait, fishing tackle, sporting goods, rods, reels, planer boards, bobbers, life jackets, along with a host of other great items including custom rods and our very own custom line of tackle, Made by Mick, "Hooked on Crawlers". Curtis, MI is located in Michigan's beautiful Upper Peninsula. Our area is surrounded by the largest lake complex in the UP. We are centered within a year-round fishing recreation wonderland and community. You will find both relaxation and excitement here in Curtis. We invite you to view this great video highlighting Curtis, Michigan. The episode also features us, Mick's Bait Shop. Let us help you when fishing the Manistique Lakes Area. We are excited to have been published on PBS and on Great Getaways! Mick's Bait Shop is conviently located at the west end of downtown Curtis, MI. We carry a huge variety of items and we are the only shop that carries planer boards. Owners Mick and Dave have been avid fishermen and hunters all of their lives and they look forward to seeing you at our Upper Peninsula bait and tackle shop. Come and visit us today. 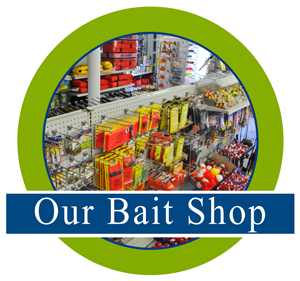 Check out our Bait Shop page for the types of Curtis MI Live Bait, tackle, hunting & camping gear. Mick's Bait Shop carries: life jackets, rods, reels, fish scalers, mosquito nets, propane, ice, binoculars, & knives, just to name a few. Mick's Bait Shop has an abundant inventory of Curtis fishing, hunting & camping supplies. Our area offers premier fishing and hunting opportunities. 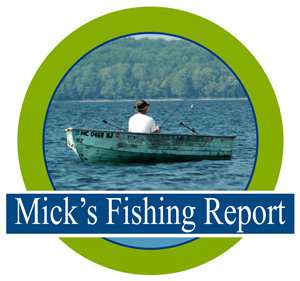 Mick provides area fishermen with a great Curtis Michigan Fishing Report. Click here to learn how the largest Upper Peninsula Lake Complex is performing for Walleye, Musky, Pike, Perch, along with other fish species. 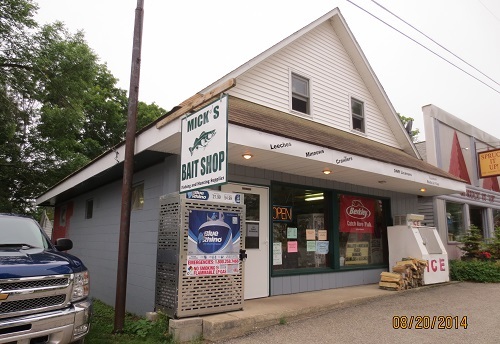 Mick and Dave purchased JR's Bait Shop in January 2014. Mick began her endeavors with making her own line of tackle at an early age. She was inspired by her father's talents with creating his own tackle. Mick and Dave now have their own line of tackle, "Hooked on Tackle Co." We now have patent pending on our own line of spinner baits. Her teardrop jig has a blade ahead of the lead (rather than behind) making her hook a unique item that performs above the rest. Mick's Bait Shop is proud to also offer 20# propane exchange, bagged ice, prepaid phone cards (including itunes). 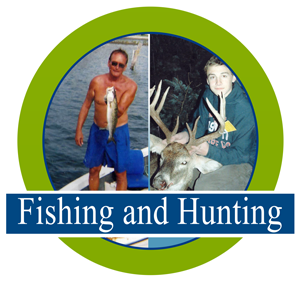 We also provide fishing, hunting and orv licenses.